Addressing problems like compacted soil, thinning grass, broadleaf weeds and nutrient loss will strengthen your lawn now and provide guaranteed improvement this season. • Start your quote here. • Our team will survey your property and gather site-specific information. • We'll email you a price estimate and general terms of service. 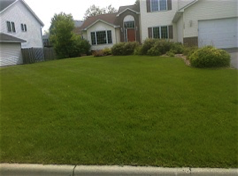 • Confirm your service right away to avoid delay and to expedite your initial lawn service. 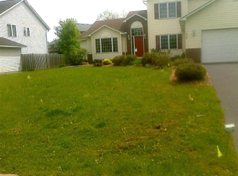 • During the initial visit your service tech will perform an in-depth lawn analysis. We'll use this information to make necessary adjustments in your season-long program. • Reminders & notifications sent throughout the process. • Leave behind info will be left at your door. • Emailed service summary after service. • Proven #1. Award-winning lawn care experts. • Dedicated service technicians—reduced margin of error. • State-of-art equipment provide superior results. • Strict, decades-long record archives help ensure your property will always look its best—with minimal environmental impact. Copyright © SeasonGreen. All rights reserved.